Samsung India is letting their customers wait no more for the biggest smartphone there is , the Galaxy Mega 6.3. Apparently they have started talking pre-orders at Rs 30,900 despite the launching price of Rs 31,490 of last month. The device is not currently in stock but it should be starting with next week, or the third week of June, Samsung says. There are also other retailers such as Flipkart and Infibeam that have the device listed at Rs 30,900, also saying that it will be available in the following week or so. Just to recall, the Galaxy Mega 6.3 has a 6.3 inch TFT HD screen, with a 1.7 GHz dual-core CPU and 1,5 MB Ram memory. The camera will be an 8 MP one, on the back and a 1.9 MP one on the front. 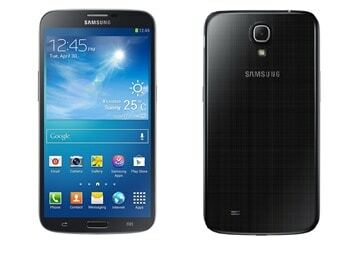 It also has a smaller brother the Galaxy Mega 5.8 that has not so powerful specs and also sells at a lower price. These 2 devices are part of Samsung’s large screened range of devices and we are currently expecting to see what will be the impact of the device on the market.